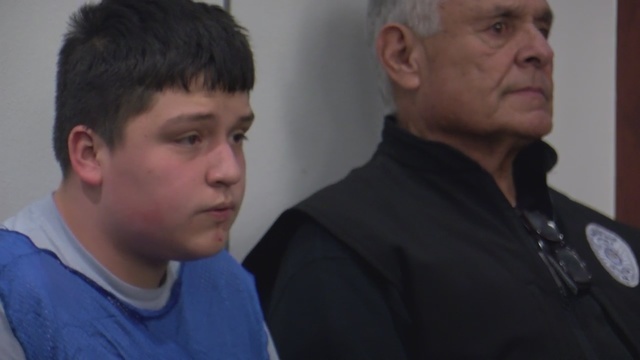 ALBUQUERQUE, N.M. (KRQE) - There was no fight Friday over whether a 15-year-old accused of murdering his 9-year-old cousin should stay locked up. "We're agreeing to detention under children's code section 28211 and stipulating the child poses a substantial risk and harm to others at this time." That is the attorney for Jeremiah Morfin, who was arrested Saturday after the body of his 9-year-old cousin was found in an arroyo near his home. Morfin is charged with murder and tampering with evidence. Court documents reveal the girl may have been sexually assaulted before her death and was found beaten. The girl was staying at her aunt's house near Unser and Gibson. The aunt says she noticed the girl gone about 3 a.m. when she found Jeremiah washing his comforter. When asked if he knew what happened to her, the aunt says Jeremiah wrote on a note, "I killed her." Police say Morfin told them he lost it.